Jake Gyllenhaal has at last confirmed he's in Spider-Man: Far From Home, months after his casting was first reported. News broke back in May that Gyllenhaal had been tapped to play villain Mysterio in the new Spider-Man film, but both Marvel and the actor himself have been quiet on that - until now. Gyllenhaal has joined Instagram, and his first post is very much a tease over his role in Far From Home. The actor teases fans over realising that he's not playing Spider-Man, while reading a comic with Mysterio on the cover (and another such cover is framed on the wall behind him). It's good fun, and a sign that we can expect the marketing for Spider-Man: Far From Home to start ramping up. A trailer is expected to arrive before Spider-Man: Into The Spider-Verse hits cinemas on December 14 - and perhaps even as early as this Saturday - and in that context, it makes sense for Gyllenhaal to start teasing his role before the trailer unveils just what he looks like in the movie. In the comics, Mysterio is Quentin Beck, a special effects technician who uses his tech wizardry to become a master criminal, leading to him butting heads - or his fish-bowl helmet - with Spidey. 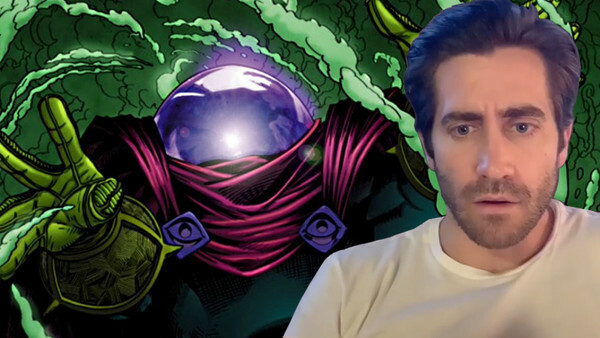 Are you excited to see Jake Gyllenhaal's Mysterio? Let us know down in the comments.